Stabilize your spine and avoid back pain after powerlifting and strength-building workouts using the Carbon Claw SC TX-7 padded leather weight lifting belt. This 4" (10.2cm) wide belt is manufactured from high-quality leather for enhanced durability and provides extra support and a secure and comfortable fit thanks to plated riveted fixings and a heavy-duty buckle fixing. It helps to get a better training effect and decreases the risk of injury in the gym and features a generous layer of padding built into the back section. for submitting product information about Carbon Claw SC TX-7 Padded Leather Weight Lifting Belt We aim to answer all questions within 2-3 days. 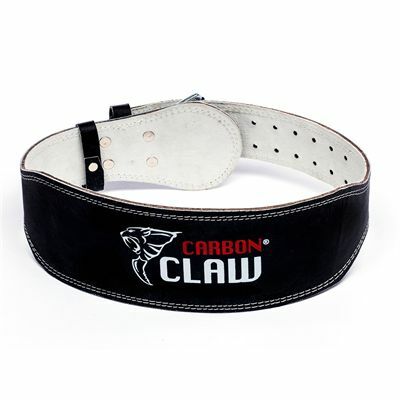 for submitting product information about Carbon Claw SC TX-7 Padded Leather Weight Lifting Belt. We aim to answer all questions within 2-3 days. If you provided your name and email address, we will email you as soon as the answer is published. for submitting product review about Carbon Claw SC TX-7 Padded Leather Weight Lifting Belt.